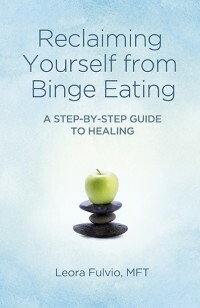 Sometimes, a binge can be a way to hold tightly onto very uncomfortable emotions; like fear, like depression, like pain, like sadness, like anxiety… Sometimes, when a feeling begins to show through, the instinct would be to push it down tightly by eating and making the feeling go away. Unfortunately, this is temporary. Very temporary. It ends up making you feel even worse about yourself. Feeling horribly uncomfortable in your body, feeling angry at yourself for the binge and feeling all the uncomfortable effects of overeating especially sugar, flour, alcohol and other foods that can make you feel tired, foggy and depressed. So, when you feel a binge coming on, experiment with letting go. Write about it. What are you feeling? What hurts? What are you afraid of? Tell someone. Talk about your fear and your anxiety. Confront it. Don’t let it be bigger than you. Don’t try to push it down. It will come back at you with a vengeance.